2013 has certainly been an interesting year. This was my first full year in Utah and while I thought 2012 was the "year of change" this one continued the process and brought about a lot more change, some good and some still in "development"
Tom Leykis: I've been listening to Tom (Blow Me Up Tom - semi-NSFW) since 1988. To say that he has had a mild influence on my life and political views would be an understatement. While I certainly don't practice / hold true everything the man preaches; a lot of what he does teach: living life to the max and to the fullest has certainly rung true for me. He was the inspiration in making the move out here when I couldn't tell the difference between one day and the next. He still guides me on a near daily basis. I am nothing short of thankful he is back on the air and putting out new shows nearly every day. Work: I started the year at one major education player and they were the reason why I came out to Utah. Sadly, the job wasn't a good match for me and while I liked the company, the people and the opportunities, the project just wasn't for me. In a nutshell, I was reading more about software development rather than programming software. One year after arriving I decided that I had had enough and decided to move on. I was very tempted to go back to my previous employer, but I found another fast-paced and growing company that was still in the educational arena that I felt a real bond with right away. Finally a place where I could make a huge difference and be kept busy. To be honest, this is the first job in my entire career where I am busy from the minute I sit down until I leave on pretty much a daily basis. While no job is perfect, most days fly by and I honestly look forward to going to work. What was a pleasant surprise is that I had multiple offers (from different companies) and I still regularly receive recruiter emails on a daily basis. Where as in Illinois, I heard nothing but cricket sounds when I applied. I am also fairly happy to report that my skill set has held up pretty well and I felt I have adapted to two very different environments quickly. Running: I thought 2012 was rough, but this one was even tougher in terms of performance. While in the fall of 2012 I was running "well" I started off 2013 taking another hit to my speed. I think age and altitude took it out of me. While I was still able to place in many of my 5K races, I found that my half marathon times went down about 5 minutes and many of them became death marches. When I race I am still assuming I am in 2009-2010 shape, which clearly I am not. 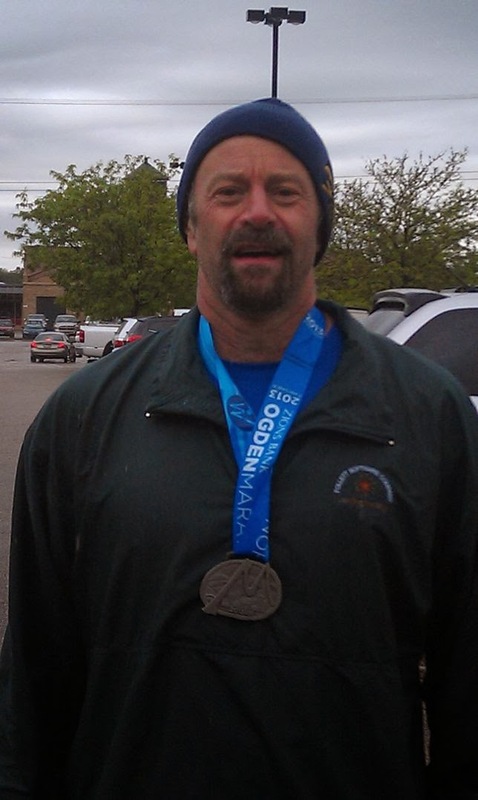 I did some very cool races, including 3 full marathons: a cold and soggy Ogden marathon, a "hell with it" Idaho / Utah marathon 3 weeks later at Bear Lake and of course Las Vegas this winter. So I knocked Idaho off my to-do list. I also did some traveling races, including a trip to Vernal Utah (truly a unique place) to run a half marathon and Summerlin, NV. 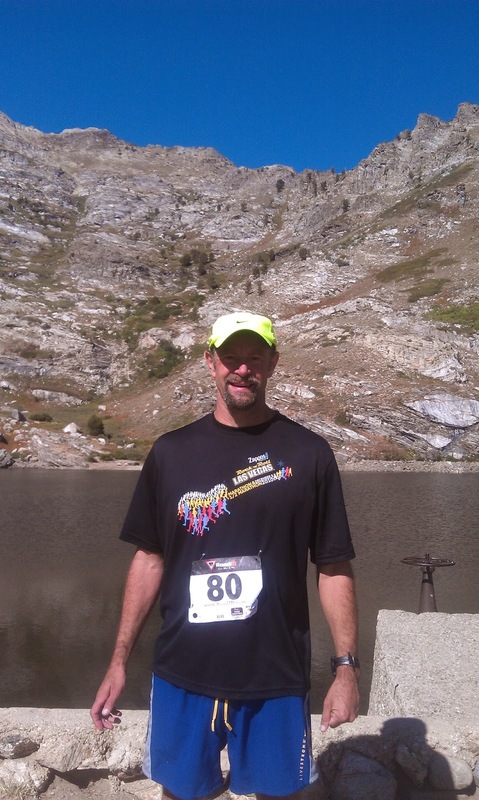 I also did a super challenging Race to the Angel half marathon with a 2700 foot climb in Wells, NV. Again, this was a turn off my watch race and just enjoy the experience. 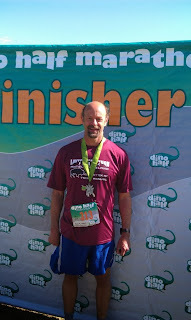 Finish after the Dino Half in Vernal Utah. I did a fair amount of traveling this year. I hit up Vegas twice, I went to Vernal and I went to Wendover countless times. I think the most memorable trip this year was going to Elko. While not a major tourist destination stop, Elko has intrigued me for sometime. Being an occasional reader of the Elko Daily I've always wanted to see the town. In September, when I did the Race to the Angel I made a visit to Elko and visited Lamoille Canyon. Overall, it was a wonderful vacation. I had the open road, smooth sailing, good luck gambling and got to experience a slice of Nevada that I have had on my bucket list for a while. 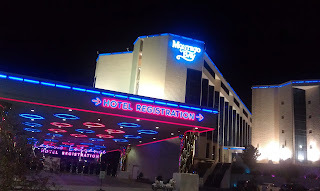 I am hoping to revisit that place in early summer as well as hit up Ely, Nevada. Sadly I almost talked myself out of going and I would've lost out on an experience that I will treasure for years to come. 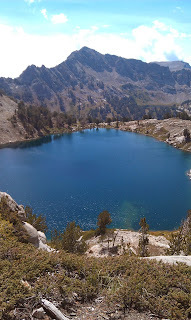 I still look at my Lamoille Canyon pictures and can't wait to get back out there. Hiking: If you've been reading this blog for any length of time, you'll notice that I make a lot of trips up into Salt Lake City's canyons. This was really awesome and where as before I was timid in going solo, I did make it up there a lot more and got familiar with the trails. Many of them I've done multiple times and they never bore me. I enjoy the challenge as well as the views. I look forward to continuing this trend in 2014 and exploring some new areas. It makes for great cross-training and the people are generally friendly so it will be a matter of time before I find a regular group to go with. 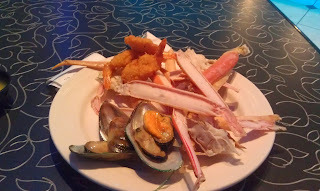 Wendover and Buffets: While my foodie friends may cringe when I say this, but my primary restaurant of choice is buffets. I remember showing a friend of mine my credit card statement and instead of McDonalds or Subways or Olive Gardens there was a slew of buffets: Golden Corral, Sweet Tomatoes, and a plethora of buffet offerings from Wendover. I train hard, so why not enjoy the spoils. It seems like I have an internal radar for all-you-can-eat smorgasbords. Finally, Wendover is pretty much a monthly trip. It isn't all about the gambling. 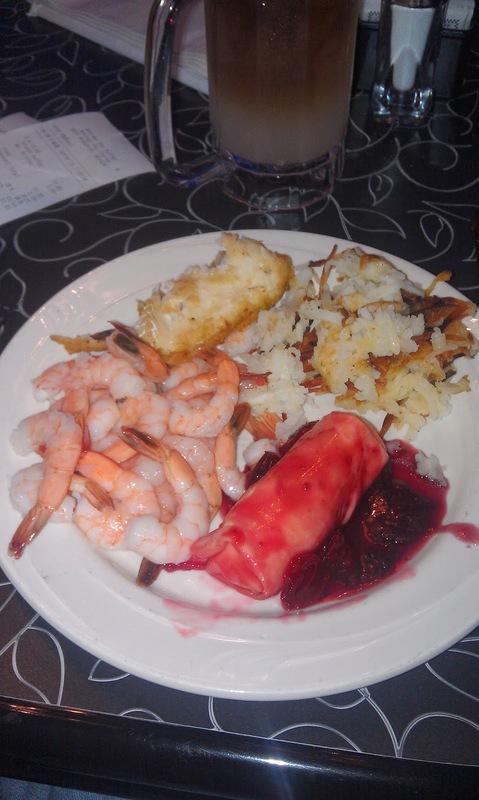 I enjoy the food (especially when it is free). I can get a free room for the weekday and there's nothing like going out into the desert for a run in the early morning. I also don't mind the 100 minute drive there. I have a t-shirt that reads "Money won feels so much better than money earned" and sadly it holds true for me. This year also gave me the opportunity to see Clint Black, Dokken, Firehouse, Joe Nichols, Lorrie Morgan and Pam Tillis (two of my favorites) in a very intimate and cool setting in Wendover. No lines, tickets under $20 a piece, no headaches and no bad seats. I've already penciled in some other shows coming this spring including Tracy Lawrence and Vince Gill. Win or lose (and it's mostly lose) I always have a good time. I see us going there a lot more in 2014. Personal: this year was a lot about personal growth and more changes. As evidenced by this blog and the sheer number of postings and pictures, I took advantage of everything that Utah has to offer (and then some). I can't say how long I'll be here in Utah -- perhaps 3 years, perhaps forever, but when it is time to move on, I want to say that I "did that". I can't say that about every place I've lived and while I don't hold many regrets in life, I don't want to regret not experiencing whatever life has to offer here. I still have lots more to accomplish and more decisions I want and need to make but I am very happy with the way things went this year. I think 2014 will have a lot more adventures so stay tuned. 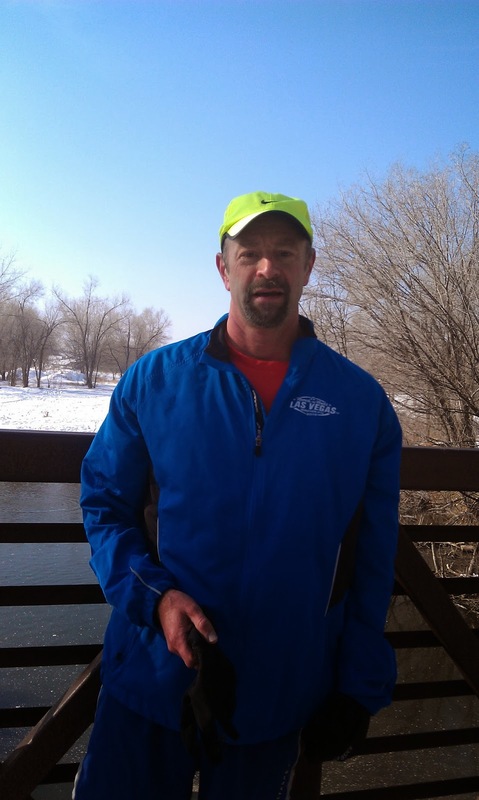 Taking a break on an 8 mile run on a beautiful day on 12/15/2013.